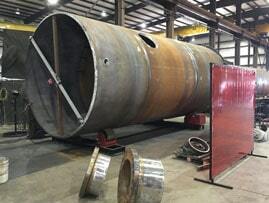 High Pressure Suction Scrubber in process!!! With a thickness of over 2” and an estimate weight of 60,000 Lbs, this units is schedule for an on time delivery to the North East to another satisfied customer. 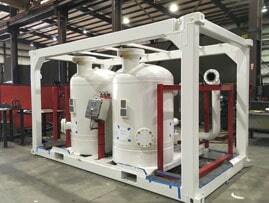 ASME/PED certified absorbers installed on a DNV certified frame. All done in house by Houston Vessel Manufacturing. For more information contact us! 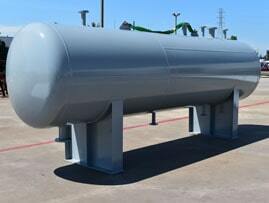 An Amine flash Tank completed and shipped to east Texas, if you requirements calls for process vessel with PWHT requirements and low temp application, contact us!!!! We will be there to assist you.